‘Elevenses’ was the term they came up with to describe that grumbly tummy feeling you get around 11am. You know, a few hours after a quick breakfast of like, a banana and coffee, but two hours before your lunch break. You’re hungry and realise lunch is just around the corner, but if you don’t eat something right now, you’re going to be a full-on grump until you get your mid-day meal. It’s time to take control over our own health and make our own damn snacks at home. Whether you like your snacks sweet or savoury, low GI or gluten free or a combination of all of these, there’s surely something for you below. Some of them can even be combined: think crackers with hummus, apple slices with chocolate dip, and so on. But mainly, I just selected these healthy vegan snack recipes because they all tasted amazing. Who doesn’t enjoy a bag of delicious cheesy crisps? But those bags of popular branded chips are packed full of hydrogenated fats and often contain seriously high levels of salt, and even sugar. But there’s good news – with the clean eating lifestyle gaining real momentum, we’re seeing new ways to enjoy ‘crisps’ without reaching for junk food, thanks to healthy subs like kale chips. And these cheesy kale chips are a really good substitute. Prefer your afternoon snack a little sweeter? It’s just as easy to make apple crisps with two simple ingredients; apple slices and cinnamon. These are a great treat to steer you away from eating on unhealthy foods which may pick you up and give you a little energy boost, but will inevitably cause you to crash an hour or so after. These are 100% healthy, good for you and most importantly, they taste amazing! 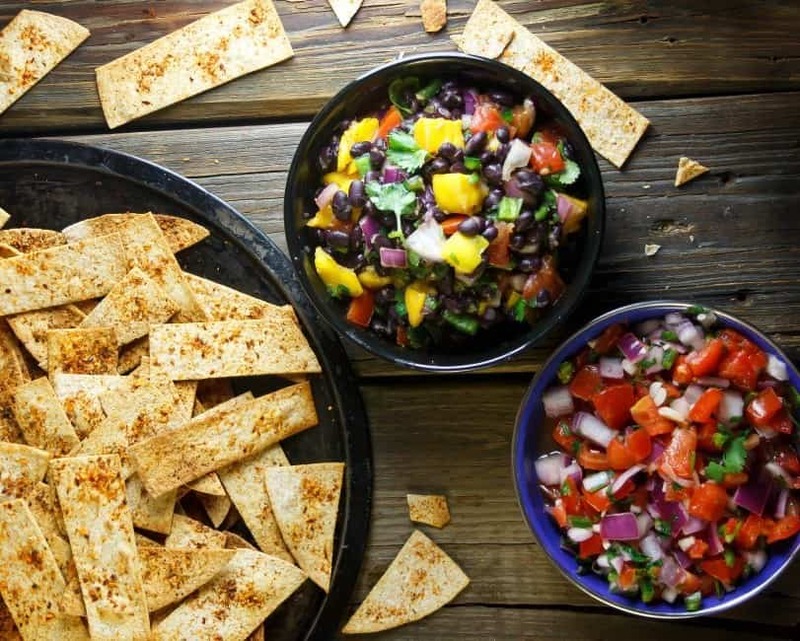 If you don’t already know of the delight that is baked tortilla chips dunked into a (healthy) dip, you’ve got to take note and try this recipe. Whether you like a chunky bean dip or a fancy-pants salsa, this is a perfect snack to serve up when having guests around. Hummus has been around for a zillion years in the Middle East, but recently it’s been getting a lot of good press in the West as the perfect snack to have on hand in your fridge. Whether you scoop some gluten-free crackers or vegetable crudites in it, layer it on some rye bread or mix it into a salad, it’s versatile and has a great flavour. That being said, not everyone is a fan of chickpeas. I know, hard to believe, right? But that’s okay, because this recipe replaces chickpeas with zucchini, and leaves you with a silky smooth dip. How stunning does this look? 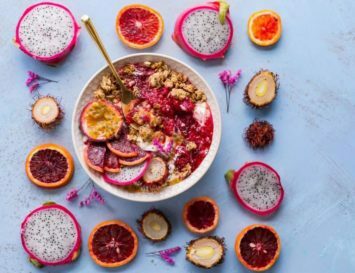 There’s something about bright, vibrant food that just appeals to my taste buds. This beetroot hummus is another variation of the traditional recipe. Eating the same foods can become repetitive and dull, so it’s always good to have different ways of enjoying something you love. Unsure what to do with a spare can of black beans? Make this dip of course! It’s super high in protein, too, making this a perfect snack to whip up before or after you’ve hit the gym. Goes great with crudites, crackers or of course…tortilla chips. Arriba! I can almost feel the Mexican wave-like ripple of hands rising if I were to ask, ‘who loves chocolate sauce’? But chocolate sauce is something that we usually associate with guilt as it’s laden with all things bad for us. Don’t we all wish there was a way to enjoy a healthy chocolate sauce that is even, dare I say it, good for us? Well, now you can. I found this gem of a recipe that not only holds just three simple ingredients, but can even be deemed healthy, especially if you’re dipping fruit into it. Freezing your ‘nana’s to create smoothies and ice cream is a trend that has been increasingly popular within the health community, but how about making these banana popsicles? Dipping them in chocolate allows you to add some crushed nuts and vegan chocolate chips to give them a little bit of a crunch. These pecans are made sweet from maple syrup and a little sea salt to give it that heavenly sweet/salty combo. Make a batch of these and store them in a lock tight jar and snack on a handful when that sugar craving strikes! 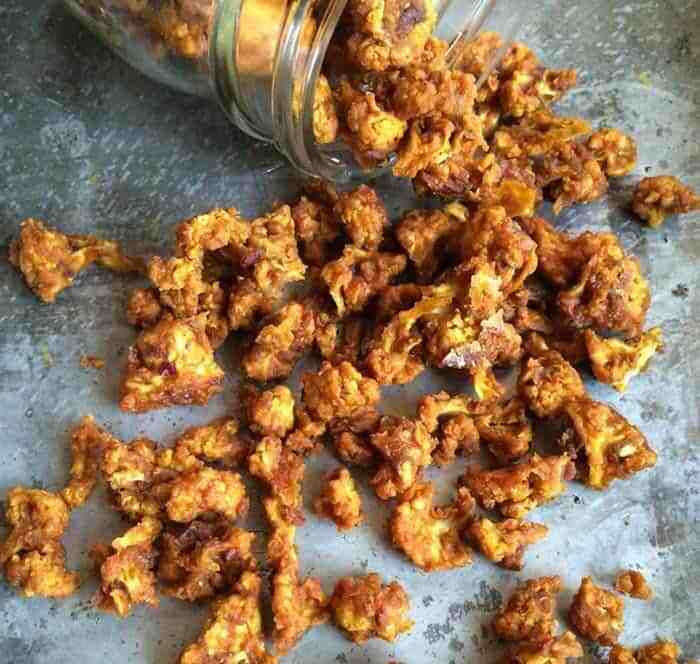 The chefs from hot for food are geniuses when it comes to whipping up vegan recipes that mirror non-vegan comfort foods, so this popcorn recipe should be jotted down. You can even tweak it slightly if you want more savoury popcorn – add some garlic or onion powder. Want it a little sweeter? Drizzle some maple syrup across it. I don’t know what it is about salt and vinegar, but just thinking about it makes my mouth start to water. It’s such a fabulous combination; the saltiness against the sharp tang of vinegar. If you’re looking for a salt and vinegar-y snack, then you have to try these chickpeas. They are gorgeous! If you’re in the mood for something spicy, then these Cajun chickpeas are a great option. When roasted, chickpeas go all hard and crunchy. The spices pack them full of flavour, making them a healthy yet tasty snack for any time of day. They’re also great on salads! Bliss balls are a brilliant afternoon snack. You know when your energy levels start to slump in the afternoon and suddenly the idea of a nap seems like heaven? No more! 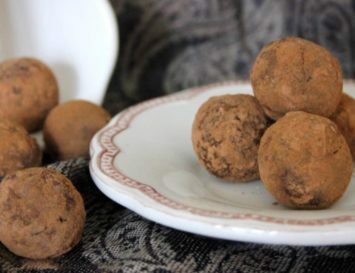 These bliss balls pack so much nutritional energy into bite sized balls, you’ll eat them and feel amazing pretty fast. This recipe even incorporates matcha green tea into the mix which is SUPER good for you. Another raw recipe that literally involves no baking. Just the measuring of ingredients, the mixing of them and then popping these balls into the freezer so they can set. I can see why medjool dates are often referred to as ‘nature’s candy’ because they’re like a bite of pure caramel. These rolls combined with coconut and figs are a sweet treat to enjoy with a nice hot tea, and are way healthier than a biscuit. Pack a few of these pistachio stuffed dates and take them in a little pot in your bag for when you’re out and about and in need of a snack. It’ll help you to make healthier choices when you’re prepared for situations when hunger rears its ugly head. These are such a quick and easy snack to whip up: it’s simply celery sticks filled with peanut butter and sprinkled with some smoked paprika. This recipe is actually popular with children, and is usually called ‘ants on a log,’ since features raisins as well. So why not make them with the children for a fun snack? Sometimes the only thing that will do with a hot mug of tea or coffee is a delicious cookie. These oatmeal and raisin cookies are the perfect recipe to whip up and have on hand, and they’re much healthier than the commercial cookies you’d find in supermarkets. Another recipe from Angela Liddon of Oh She Glows, but sorry – that girl knows how to bake! 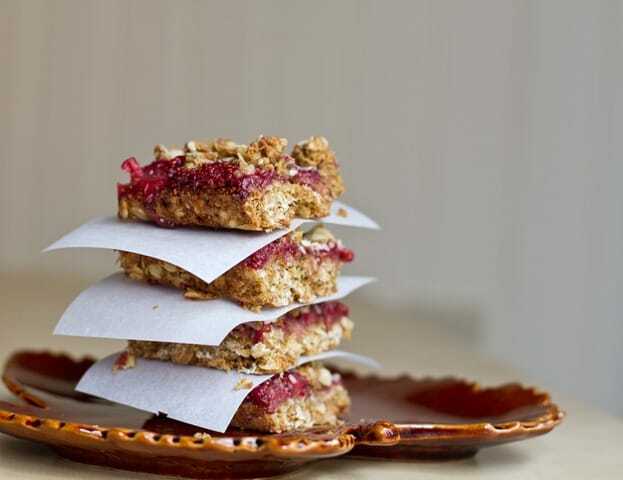 These strawberry oat squares with homemade jam not only look mouth-wateringly good, but they’re also healthy, too, making these the perfect go-to snack when you’re in need of something sweet and tasty. Plus, who doesn’t look anything with strawberries in it? What??! Is there anything this vegetable cannot do? With the help of a dehydrator (or just baking them really, really slowly for a long time), the white veg actually gets crunchy, and the spicy topping makes it moreish. Chia seeds will absorb any liquid you want them to taste like – and this strawberry and chocolate mix is really lovely! 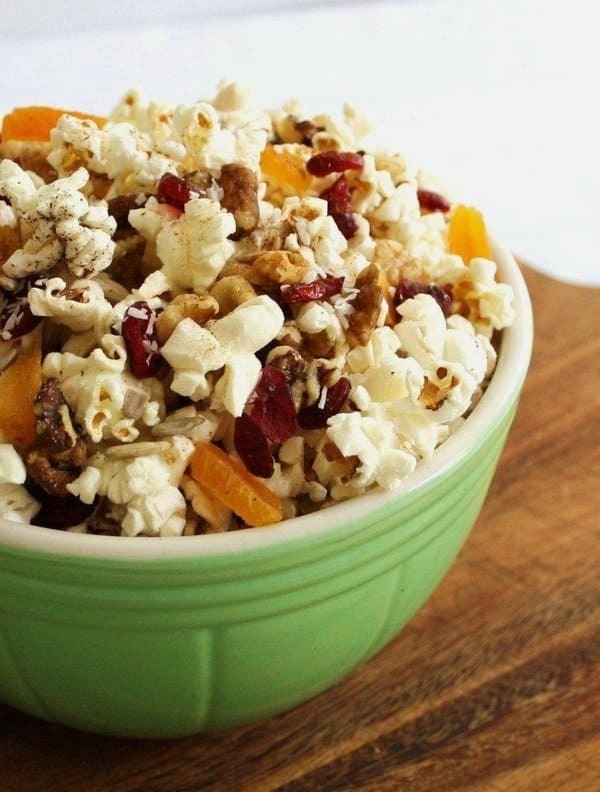 For added substance, you can add chopped fruit and crushed nuts on top of it as a healthy snack. And you’ll never guess the secret ingredient in this pud….! 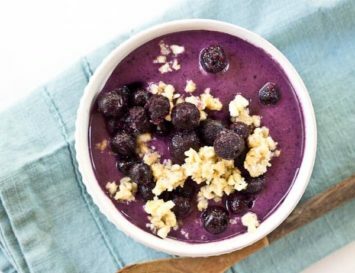 This healthy smoothie is filling, healthy, and the addition of protein powder – plant based of course – means that this will not only give you an afternoon pick-me-up, but will carry you to the gym, too. Sweet potatoes hold so many beneficial properties for the body: mainly, they contain fibre, beta carotene, and vitamin D which of course plays a huge role in our energy levels and moods. 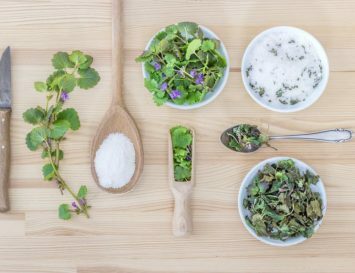 If you’re feeling tired and suffering dizzy spells, you could be short on potassium – and guess what has plenty of that? Yep, sweet potatoes! Plus these taste way better than fast food fries. 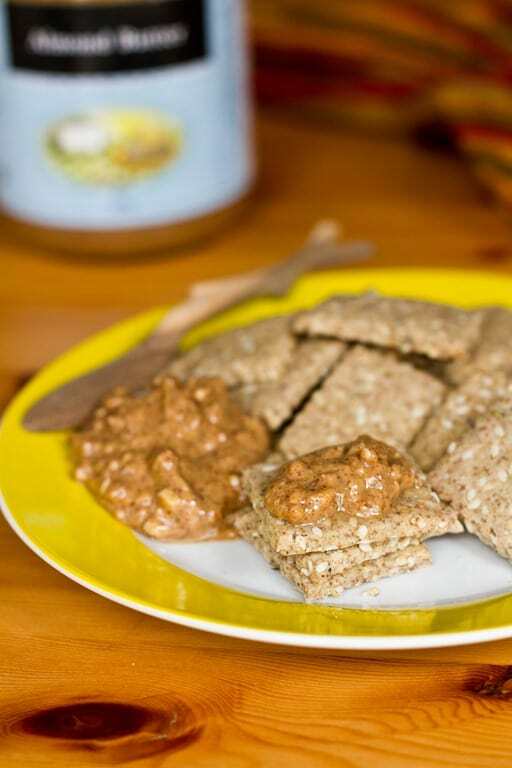 Crackers are another go-to snack that you should keep on hand. You can use them to dip into soup for a little-added texture, smear them with vegan cashew cheese or almond butter or simply eat them on their own. 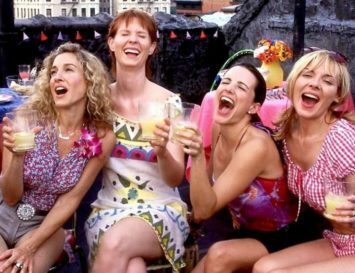 They’re easy to dress up, and just as enjoyable dressed down. Make some on a Sunday and store them to enjoy during the week. These cracker/crisps are insanely tasty. Who doesn’t enjoy the taste of dill? This recipe is raw and features cucumbers as the main ingredient. They’re a little time consuming due to having to dehydrate them, (either in a dehydrator or by slow cooking them in an oven) but the (very low calorie!) result is more than worth it. It’s sometimes not easy to snack when you’re gluten-free. Everything from sandwiches and pizza to crackers and commercial granola bars will sometimes contain it. So why not make a batch of these easy, crispy crackers for yourself? Perfect with any of the dips above, or as I like to eat them: in soup. Yep, here it is again. Popcorn. 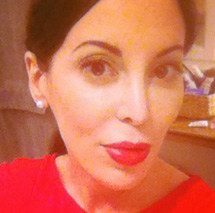 At home, I have an air popper, and boy do I use it! It creates the best crunchy, crispy popcorn with zero oil (you can find one online pretty easily). This trail mix will appeal to those who like their snacks sweet, not savoury, as it features a bit of dried fruit and cinnamon. 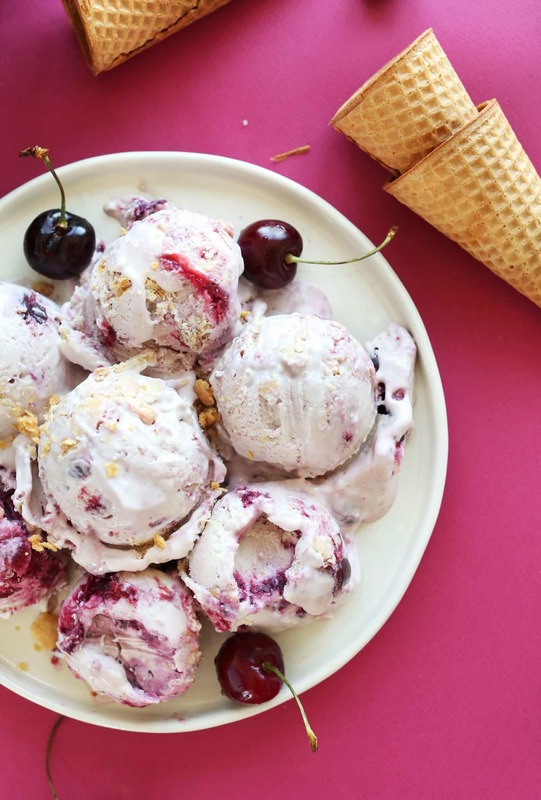 Can’t decide between snacking on pie or ice cream? 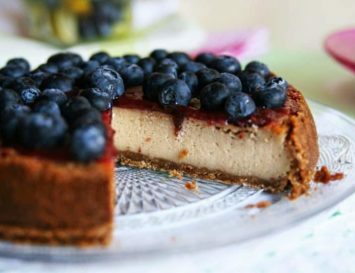 Why not indulge in both with this fanciful recipe from the Minimalist Baker? It’s 100% vegan, thanks to the cashew and coconut base. Feeling like you need a protein fix? 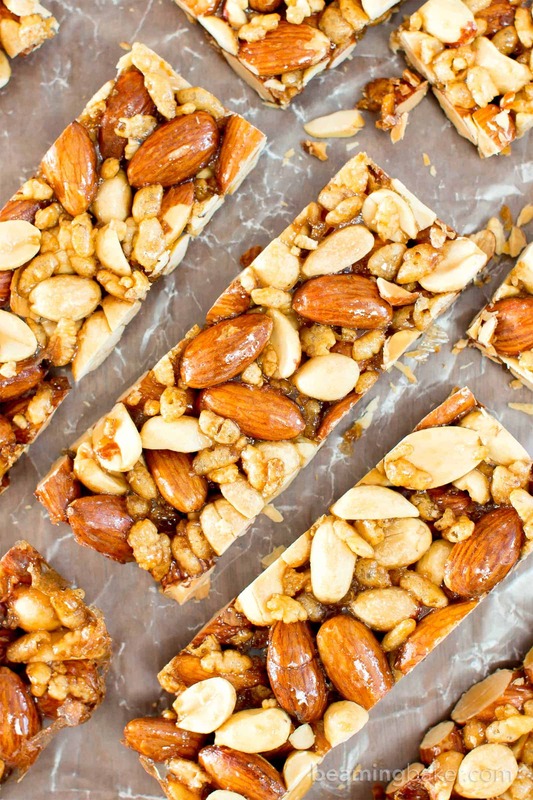 These vegan nut bars are the perfect snack! Pack them with almonds, peanuts and walnuts to ensure you get an array of different vitamins and minerals. Thanks for the great recipes, Fabiola!